What benefits does Robotics Team offer for students? 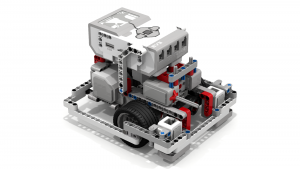 Students draft and prototype using a design software the robot and the attachments, then build it using LEGOs. This is a hands on experience is like no other one and you finally see how things learned in class can be applied to real life. Calculations are needed before you build any of the mechanisms of the robot. This part is essential to building a successful robot where numbers and calculations using formulas give you the information you need to build the robot and to have a high rate of making something that will work. Students gain experience in a highly used field that is in high demand in today’s world. The software used in the robots varies with every competition and most competitions have more than one programming language available for students to use. 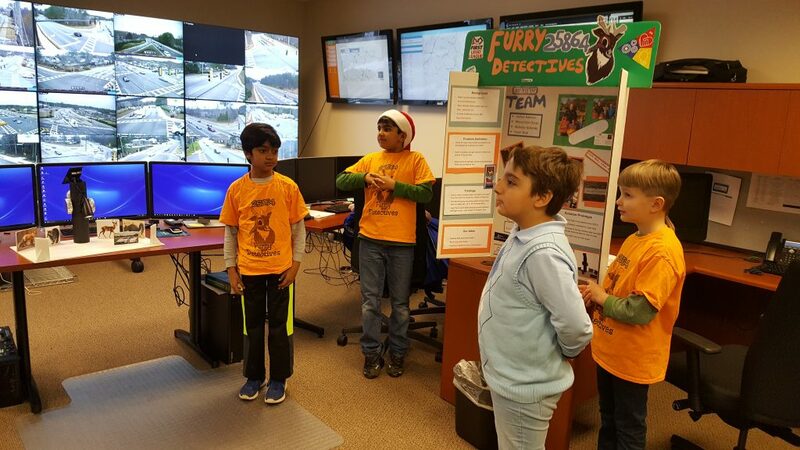 Every member of the team experiences leadership role since team helps other elementary and middle school Robotics teams on their competitions. Students give many presentations throughout the school year. In the competitions to the judges, in the field trips to professionals they visit, to the guest speakers who visit their team meetings. Students gain social skills with all the activities the team does in our school and communities and become a well rounded individual, humble and ready to serve and volunteer and see the real world’s definition of community. Students have to work together to brainstorm ideas on how they will build a robot to perform the missions needed to be accomplished for the competition. 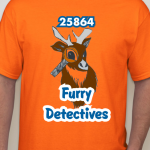 In addition, teams can design t-shirts, mascots, banners, team webpage, flags, etc. Students must learn to work together to become a team. A robotics team demands that we work together, all team members help each other all the time. Students are in charge of many resources that the team has to offer. Materials, time to prepare for a competition, tasks that must be completed by every department and in general the organization skills that must be in place to become good at what we do. Before we start building our robot, the team needs to read and understand the entire game manual. Then the whole team brainstorm on possible solutions and on which mechanisms we need to work on to build and reach the goals needed for the competition. Students brainstorm on how to raise funds for our competitions and for the money needed throughout the season for the expenses such as travel, team spirit etc. Each team should create a budget for every competition and then should begin fundraising to get the funds needed. Students work together with other schools and make more friends which have similar interests as we do. You get to visit universities as well as companies to see what you will be doing in your future career. You will become part of the robotics family that basically it is world wide. Maybe, students will get to know students that you will see again when you graduate from your elementary school, students met at the competitions during the seasons and see them again in college. 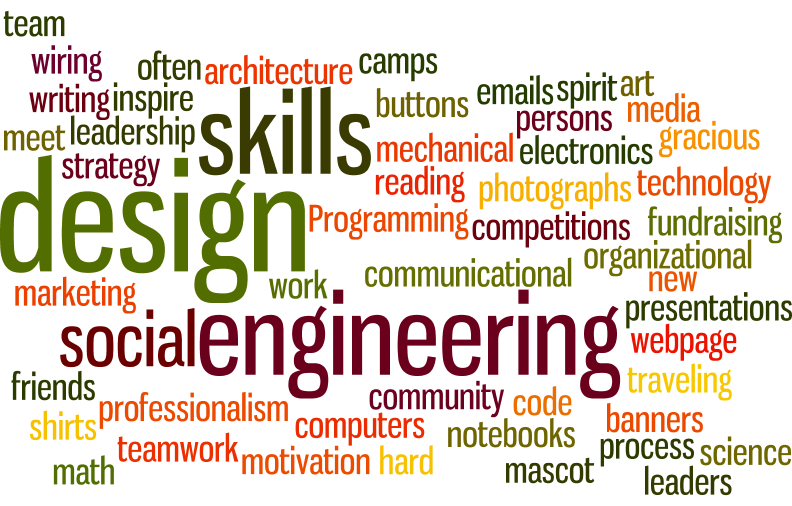 Tags: Programming, social skills, design t-shirts, design banners, design buttons, team spirit, mascot, engineering, math, science, technology, computers, code, wiring, electronics, mechanical, architecture, engineering notebooks, organizational skills, competitions, friends, teamwork, presentations, community, camps, gracious professionalism, webpage, emails, photographs, social media, communicational skills, fundraising, marketing, engineering design process, traveling, strategy, leadership, reading, writing, art, hard work, meet new persons often, leaders, inspire, motivation, etc.